Cogsci.nl supports the open-access model of academic publishing. 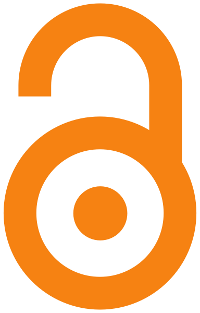 A journal is open-access when its content is free of charge, easily accessible, and available for re-use with the sole restriction that attribution be given to the source. See this article for a perspective on the difference between open-access journals, and journals that offer content for free, but under restrictive licenses. Below you can find a list of open-access journals (and open-access options in journals that are not exclusively open-access) in the broader field of cognitive science and neuroscience This list is obviously incomplete. Please feel free to post suggestions! Behavioral and Brain Functions focuses on behavioral aspects of neuroscience and on behavioral dysfunction. BMC Neuroscience focuses on all aspects of neuroscience. Brain and Behavior covers a wide range of topics within the broader field of neuroscience. Elsevier Sponsored Articles is an open-access option that is available for many journals published by Elsevier. i-Perception is the open-access sister journal to Perception. As the name suggests, the focus of the journal is on perception research. Journal of Eye Movement Research is a young journal that focuses on eye movement research. Journal of Neuroscience is the official journal of the Society for Neuroscience that offers an open-access (Open Choice) option. PeerJ is a members-only, open-access journal for the biological sciences. PLoS Biology is one of the major PLoS journals, which publishes papers in all areas of biological science. PLoS Computational Biology is another journal in the PLoS family that focuses on the use of computational methods in all areas of biological science. PLoS ONE offers rapid publication of scientific papers in any discipline. Springer Open Choice is not a journal per se, but an open-access option that is available for many journals published by Springer. Scientific Reports offers rapid publication of scientific papers in any area of the natural sciences. Tutorials in Quantitative Methods for Psychology focuses on the methodological aspects of psychological research.